Employees clock in and out by swiping a barcode badge through the clock. 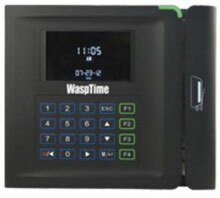 Implementing the WaspTime Barcode solution is simple. Each employee is issued a badge with a unique barcode. 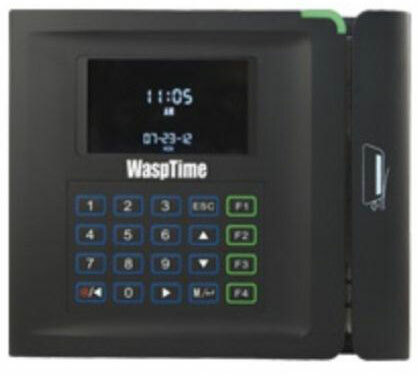 To clock in or out, the employee passes the badge through the Wasp BC100 time clock. Data is downloaded from the clock to the administrator on a scheduled or periodic basis, providing easy access to time and attendance records. The Wasp 633808551407 is also known as Wasp Bar Code	633808551407	.